This volume is devoted to critically exploring the past, present and future relevance of international law to the priorities of the countries, peoples and regions of the South. Within the limits of space it has tried to be comprehensive in scope and representative in perspective and participation. 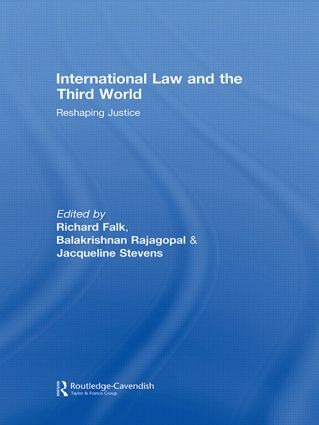 The contributions are grouped into three clusters to give some sense of coherence to the overall theme: articles by Baxi, Anghie, Falk, Stevens and Rajagopal on general issues bearing on the interplay between international law and world order; articles highlighting regional experience by An-Na’im, Okafor, Obregon and Shalakany; and articles on substantive perspectives by Mgbeoji, Nesiah, Said, Elver, King-Irani, Chinkin, Charlesworth and Gathii. This collective effort gives an illuminating account of the unifying themes, while at the same time exhibiting the wide diversity of concerns and approaches. What may the ‘Third World’ expect from International Law? Exiled to a Liminal Legal Zone: are we all Palestinians now?